It’s no secret that fall is just around the corner, and that means shorter days and longer hours spent in the dark. To ensure your house stands out at any hour, here are a few easy ways to light up your exterior and give your home a more inviting appeal. 1) Clean Up Existing Lighting – If your exterior lighting is already in place, make sure the glass is clean and the frame is polished! All that dust and dirt can really make the light seem much dimmer, so make sure everything is looking spiffy and your fixture will show off a stronger beam. So why not replace the bulbs while you’re at it? 2) Rejuvenate with Paint – It’s amazing what a coat of fresh paint can do, even for a lighting fixture! And with so many colors and finishes to choose from, you can easily turn something old into something new again. Try an oiled bronze finish or a textured paint, such as hammered gun metal. And if you have a lamp post too, you can refinish it to match! 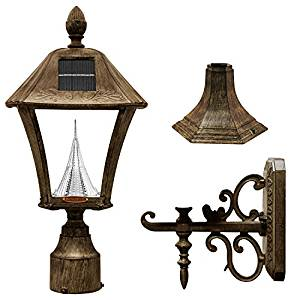 3) Upgrade the Lamp Post – Create an entirely different look by replacing a lackluster standard lamp post for something much more grand! 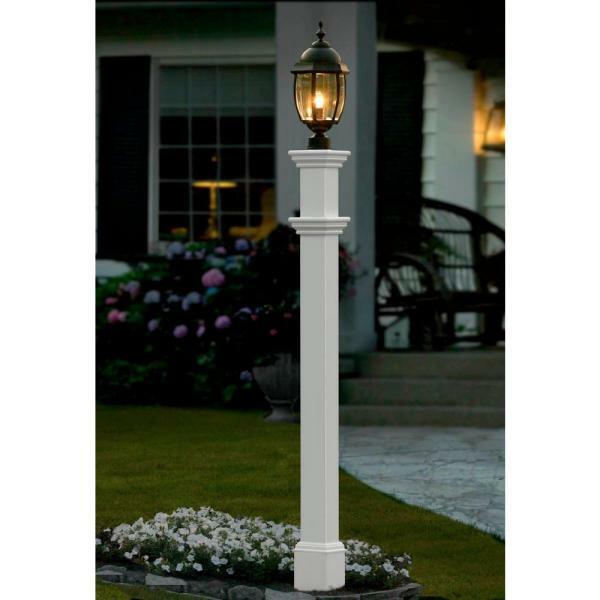 New England Arbors makes some great vinyl pillars that can be slipped right over an existing post or anchored on their own with a 4 X 4. An easy DIY project and a great way to class up your curb appeal! Available in several styles at Amazon, Target, Home Depot, and others. Shown below is the ‘Portsmouth’ model. The devil is in the detail, or so they say. And when it comes to preparing your home for market, those details really can have a big impact! Here is a short list of just a few of my favorite Staging Props that are inexpensive and can truly help turn a listing from ho-hum into YUM! 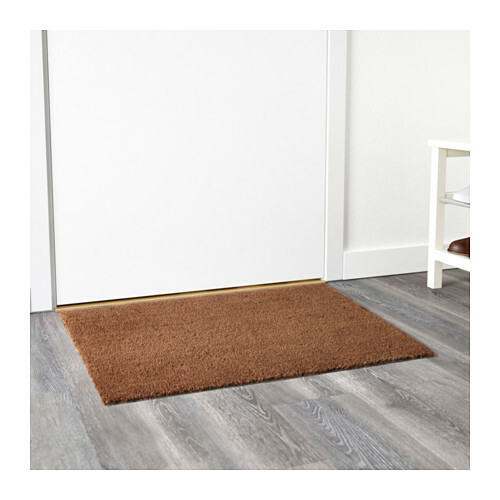 1) NEW FRONT DOOR MAT – Nothing says ‘welcome’ like new front door mat! It can absolutely make your entryway feel finished and well cared for. My favorite (still, after all these years!) is Trampa from Ikea. For $9.99, you can’t find better than this. It’s long lasting, works indoors or out, and as a neutral, it goes with everything! 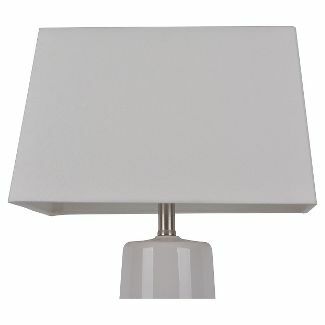 2) NEW LAMPSHADES – Doesn’t sound like a big deal, but freshening up the lampshades can make a dated lamp look brand new. And if you invest in something a little more opaque rather than dark and heavy, it can literally brighten up the room! Check out Target for some really affordable options. Shown below, Rectangle Linen lampshade from Target, $19.99. 3) THROW PILLOWS – If your sofa is looking tired, or your bedroom needs a boost, a few fun new throw pillows can really add just the right pop of color to brighten the space up. On the other hand, if you’ve got some very dated seating, throw pillows in a neutral color can help tone down loud upholstery and make it look far more current. I’ve found the best deals at Walmart and The Home Store. 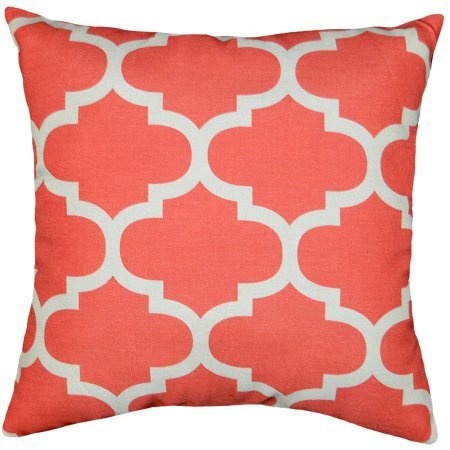 Checkout the Fretwork Pillow from Walmart for just $9.97. 4) RUST-OLEUM PAINT – Yep! That’s right! When it comes to staging to sell, paint is your friend, and Rust-Oleum comes in so many applications and colors, you could literally update any paintable surface in your house for a quick makeover, interior or exterior. From lighting, to mailboxes, to trim work and doors, to cabinets, to furniture, and so much more. 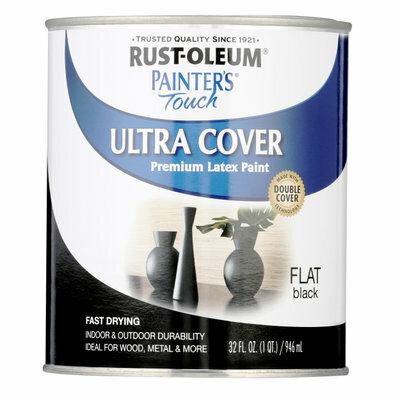 I am a huge fan of Rust-Oleum products as they cover very well, are easy to apply, and seem to hold up. 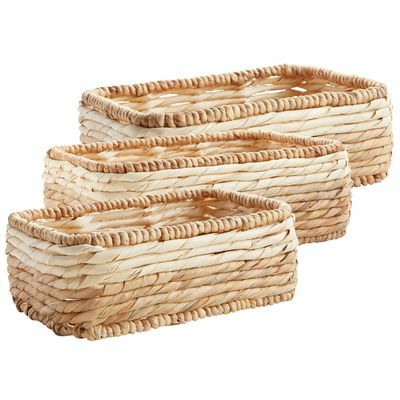 5) WICKER BASKETS & CONTAINERS – Baskets make awesome props when staging your home for market as they are neutral in design, and can keep clutter out of sight when you need to clean up quickly for showings. My favorite finds are from World Market and Pier 1 Imports, as shown below starting at $7.98. 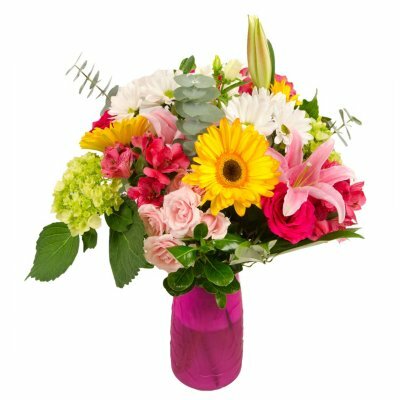 6) FRESH FLOWERS – What could be more cheerful and inviting than a fresh market floral bouquet? Make flowers last longer by snipping off the stems at an angle before placing in vase, changing water daily, and refrigerating them overnight, just like they do at the market. Prices vary, but usually well under $20.00…or save even more and pick them from your own garden! 7) HARD FOILED CANDIES – I call hard foiled candies, ‘the edible prop’. It’s a small bowl full of temptation that can actually make potential buyers take a second look when placed strategically. I set them up in a nice, clear, open candy dish next to your listing information somewhere in the house where you’d like them to linger and take a longer, sweeping view! Who can resist the urge to reach in for a little something sweet as they’re mulling it over? Place the bowl in plain sight, somewhere you would like potential buyers to view a little longer…in a grand entryway, on the island in a beautiful kitchen, on the dining room table overlooking that gorgeous view. 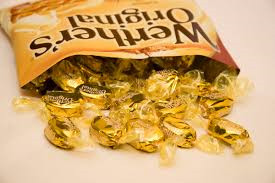 I personally use Werther’s Original Hard Candies…$6.99 or less per bag… and make sure to keep that bowl well-stocked! We are planning to sell our house next spring and have already completed a number of interior updates. (It looks amazing!) But we’ve been in panic mode because the exterior curb appeal doesn’t reflect the interior appeal! We have a number of bare spots under our trees and several spots around the shady perimeters that look absolutely desolate. We’ve tried planting grass many times without success. We’ve even tried sod! It still looks awful. Any ideas on what we can do to fix this? That certainly is a dilemma, but you do have some nice options. There are actually several shade groundcovers available that might work for you. And if you plant them now, they should come up nicely by spring. Be careful though, as some of the groundcovers can be quite invasive. I’ve personally had very good luck with Spotted Deadnettle. It seems to stay quite contained and is easy to control, low growing, and a lovely bonus is that it flowers and really brightens up a shaded area. Another good one to consider is Barrenroot. Barrenroot also flowers…in variegated reds or whites…and grows 12-18 inches tall, so if you’re looking for something a little more showy, this might do it for you. 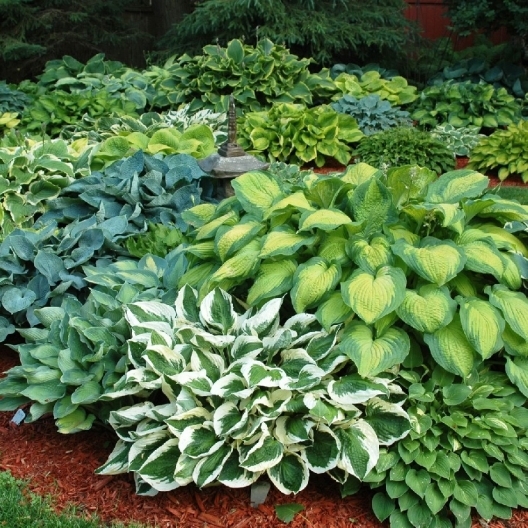 You might also consider planting some nice shade hostas. You don’t have to plant them directly under the trees, but a few feet away as many of them do get quite large and will fill in the bare spots easily. They also have miniature hostas now and with so many varieties to choose from, I encourage you to check out your local gardening center to decide. Last but certainly not least…you can always just cover the bare spots with mulch! A natural mulch not only covers up the bare spots, but can give your landscape a finished look. If you want to add some color, consider digging a few clay pots into the ground just to the rim and planting some lovely shade flowers, like Begonias or Impatiens. You can also invest in ‘no dig’ edging to help contain the mulch and make the process faster and easier to complete. 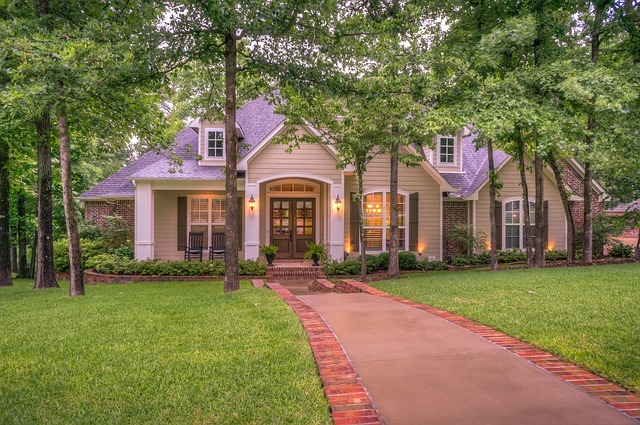 Hope these suggestions help and wishing you success on your home sale this spring! 1) You only have one chance to make a positive first impression. And that cliché is true for a reason. Don’t take a ‘wait and see’ attitude when it comes to selling your home or you will surely be disappointed. Instead, be proactive and make sure everything is in tip-top shape and your house is staged-to-sell BEFORE it goes on the market. 2) Staging is not about hiding and/or masking flaws. It’s about playing up the positive features of your home and making them so desirable, the negatives no longer stand out! If you start the process with that in mind, the negatives will become far less noticeable and/or disappear altogether. 3) Potential buyers can’t see a buyer’s allowance. They can only see what’s there right now. So if you’re trying to convince yourself that a buyer would rather pick out their own new carpeting and can look past the dated shag your living room’s been sporting since 1973, think again! Most buyers these days prefer move-in ready and have a hard time seeing past what’s there right now. 4) Keeping up with the Jones’ isn’t a bad thing. When it comes to selling your house, making sure your home is competitive with comparable listings on the market in your neighborhood is a must if you want top dollar! In other words…don’t expect to list at the same price point as your neighbor down the street with a totally remodeled kitchen and bath if you haven’t even freshened up the paint in 20-plus years. 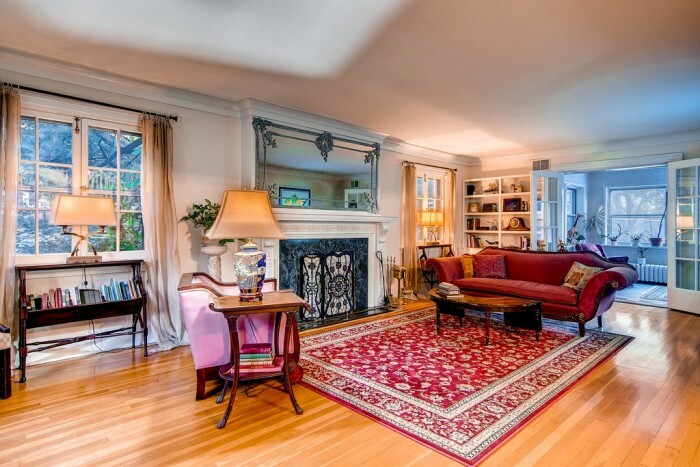 5) It’s not about how YOU use the space, but how potential buyers will be using it. For example, if you’ve been using your formal dining room as a home office, you need to transform it back into a formal dining room, because that’s what potential buyers will be expecting. Anything short of that will leave buyers feeling like you’ve run out of room and they won’t have any space to eat a sit down meal or entertain. 6) No one wants to buy a broken down house. Except for the bargain hunters, of course. But they’ll be looking for a basement bargain price to match. If you’ve been neglecting repairs, the time is now to fix everything in disrepair. Potential buyers typically want move-in ready, or a low-ball price if they’re willing to tackle it themselves. 7) Don’t take it personally. Not everyone is going to fall in love with your house, just like you likely didn’t fall in love with every single house you looked at before buying yours. But find out why they aren’t lovin’ it! Ask your Real Estate Agent to follow up with feedback after every showing. If you’re hearing the same issue over and over and over again and it’s something you can fix, then fix it! Dear Home Staging Expert® – My wife has accepted a job offer across the country. We need to get there fast and will be renting an apartment while our house is on the market 1200 miles away. I have always heard that leaving some furniture behind is a good idea, but if we do that, it will cost us twice as much to move once our home sells. Thoughts? Thank you for the question and congrats to your wife on her new gig! I do think that vacant listings are a little tougher to sell. Whether a fair assessment or not, vacant rooms do tend to look smaller and people often think something must be wrong with a house that’s sitting empty. But simply leaving a few key pieces behind…a sofa, dining set, and bed….along with some artwork to warm up the walls, a few lamps, and a rug or two, would be just enough to give potential buyer’s some perspective on how their furnishings might fit in the space. However, with a move as far away as yours, I would instead suggest you consider renting a few major furnishings for this purpose, or even investing in them yourself, as it would be far less expensive than paying for two moves. Another option might be to leave some things you might want to replace anyway behind…make sure they are in very good condition…and buy new once you get to Seattle. On the upside, if you decide to rent from a rental outlet or hire a stager who can stage your property for you while renting you the furniture, you will not have to deal with any of the details yourself. Or if you do buy, you can always donate the furniture to a charitable organization once the house sells and receive a tax credit, or gift it to a friend or family member in need in exchange for keeping an eye on your house while it’s on the market. Do keep in mind that while vacant furnishings should definitely look the part, they don’t need to be high-end purchases like the kind of furniture you might make a long-term investment in for yourself, so you really can find some great buys out there for much less. For the record, I have purchased enough beautiful furnishings to stage an entire home for less than $1000.00 several times, which is certainly far cheaper than hauling it across the country! Whatever you decide to do, remember that the house itself should be in great condition, first and foremost. 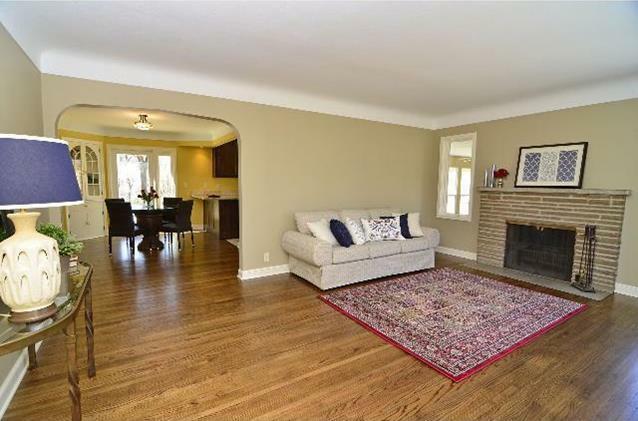 Fresh paint, new/clean carpeting/flooring, great curb appeal, are always a good investment. There is no point in renting and/or buying new furnishings to be plopped down in an all too lived-in setting. Furniture won’t enhance a home that is in desperate need of updates and might even make it look more dated. But when the backdrop is right, a few key pieces can create just the right amount of warmth and perspective to give potential buyers a better sense of the space while keeping the house from feeling abandoned. Thank you again for the question, hope this helps, and wishing you and yours a wonderful new life in Seattle! Home Staging has been around for years now, and though almost considered a standard practice when it comes time to sell your home, there is still a lot of misinformation floating around out there. Here are a few of the most common misconceptions about Home Staging and the Home Staging Industry, and the facts that debunk them. Actually, no it isn’t. While it’s important to verify any stager you hire has a portfolio of their own and can provide references upon request, that doesn’t necessarily mean they will have any professional credentials. Unlike Real Estate or Interior Design for that matter, because the Home Staging Industry isn’t regulated by a formal governing body, literally anyone can call themselves a staging pro. While there are many courses and certifications available from many different sources, including our own, none of these certifications/designations/accreditations are offered through a state or federally regulated governing board. They are awarded by the company offering the course. While these two professions are often thought to be one in the same, they should actually be considered polar opposites. Though both have to do with the styling of a home, that’s where the similarities end. Interior Design is the process of enhancing a home to appeal to the owner’s aesthetics and how they use their space. Home Staging focuses on playing up the space itself by directing attention to the positive features of the actual structure and presenting them with many potential buyers in mind. 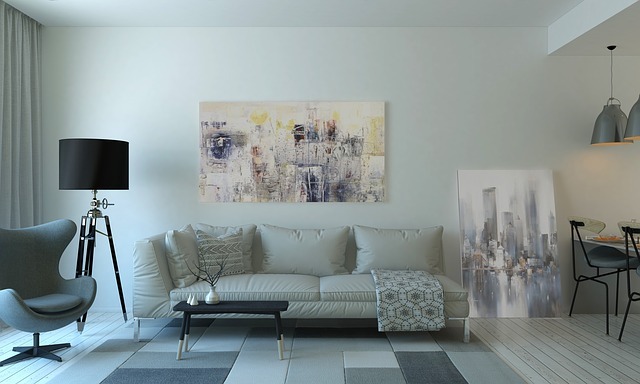 Interior Design specializes in individuality, while Home Staging tends to de-personalize a space maintaining visual appeal so the home will attract a larger audience. In my own business, I actually stage more occupied homes than vacant listings. Because most people don’t live in their house the same way it should be presented to sell, staging an occupied home is just as beneficial and just as necessary. The ultimate goal for both is always the same…to sell the home quickly for the highest possible profit. Well, I don’t live in a ‘frumpy house’, but I would still need to stage it to sell! Staging is all about presenting a home to highlight the best features of the space, not the owner’s stuff! And since most homes have been decorated to appease the owner’s style, creating a more universal appeal is really the key. In other words, a ‘frumpy house’ shouldn’t be the only consideration. The fact is, most houses could definitely benefit from a few updates, editing, and rearranging to make a positive first impression on potential buyers. Selling your home is usually the single, largest financial transaction most individuals will ever experience. This isn’t like selling your old sofa on craigslist, this is a major deal worth thousands…or even millions…of dollars! When you consider that the longer a home sits on the market, the more price reductions it will undertake…why on earth would anyone leave something like that to chance? It’s far better to spend a little money upfront to ensure the house shows well than allow that house to linger and lose perceived value. In the grand scheme of things, staging fees are a drop in the bucket. So shop around and find a stager with experience, references, and an impressive portfolio, and you are sure to find a staging pro that fits your needs and your budget.